A quote in Brightpearl is simply an order which has been assigned a sales status to indicate it is a quote. 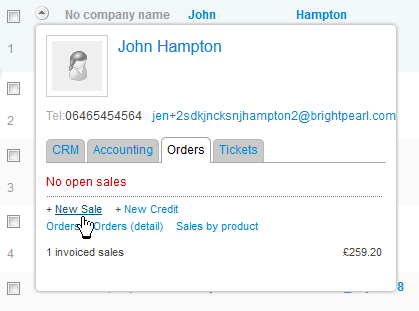 This allows users to see that the order has not yet been confirmed and for it to be excluded from processing lists. Every order must be created against a customer record, but when it comes to quoting a sale you may not have or want to create a record for the customer right away. In this case you might find it useful to keep an "anonymous" customer record for this specific purpose. When a customer wants a quote, create it against your anonymous customer record. When they return to confirm their order you will need to create customer record for them and then transfer the order over to their real record. The order is created on the status defined at Settings > Sales > Sales workflow, this might already be your quote or new order status. 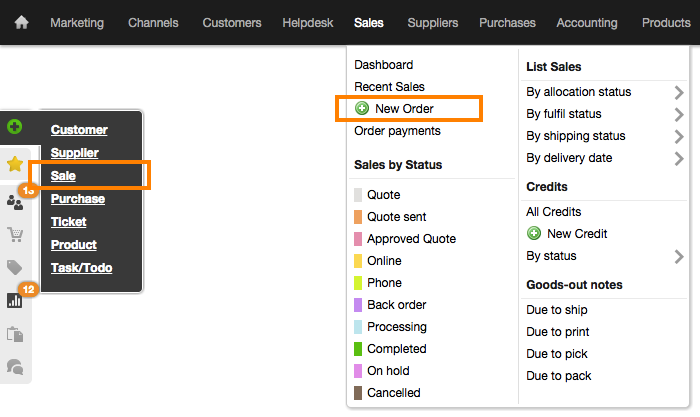 Update the order status as needed to indicate what stage the order is at in your sales cycle. 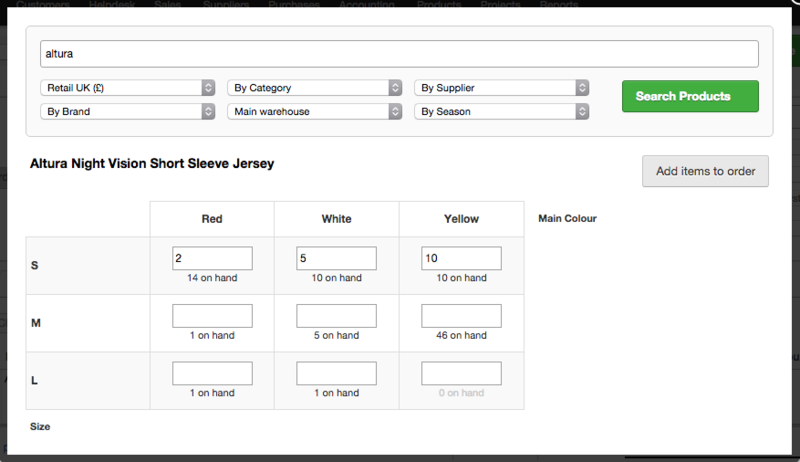 Begin typing your product/service name or SKU into the Item code field directly on an order row and select the item from the displayed results to add it to the order. Add more rows using the Add row link. Click the Batch add price list items link to search and add multiple items in one go. Add a free-text miscellaneous item by typing the item details directly onto the order row, this could be a shipping cost or a discount (negative value). Click the Save changes button to save the items onto the order. Quotes can be approved by staff members through Brightpearl back office, or they can be approved online by customers using the web portal. Before any quote can be approved, an approved sales order status must be defined in the sales workflow settings. Note: When an order is placed on the "Approved" status the line items will be locked and no change can be made. They can be unlocked by moving the order off the "Approved" status. Search for and open the sales quote. Click the arrow on the edge of the Save changes button. The quote will be automatically moved to the approved status. It will also be locked to further changes while on this status so it should not be the same as the new order status. A quote or order can be copied and used for the same or a new customer - the quote or order is first cloned and then customer can be changed. A quote can be printed or emailed to the customer using a customized template. Create and save the quote. From within the quote record, click the Email/Print button. The document is displayed using the default template from the channel brand assigned to the order sales channel. To change the template click the link at the top. To email the document use the link at the top. Select or enter the email address(es), enter a subject and email body and then click Send .